owls about that then! : Nipped out! Not much time for owling on Saturday, a very tasty hangover put paid to my planned early start, then I had an appointment down the city in the afternoon to watch the football, not much time left for anything else then? It's amazing just how quick a day can flash by and nothing seems to get done, however, as busy as I was I did still managed a quick visit out to check out three local sites where I made my first sighting of the year. Little Owl site No 88. At my site No 86 a bird was located sitting on some straw bales in a barn, I think it was hunting for mice? It was pretty dark in there which resulted in quite a noisy image (grainy in the shadow areas) because of the need to use a high ISO setting. My site No 10 also yielded a first sighting for the year, a pair where out here but only one of them came close enough for a quick snap. Goodness knows how many owls I could see in a whole day if I dedicated the time to doing it? Without the hangover of course, so not much chance there then because nearly every weekend is spent recovering from one!!! 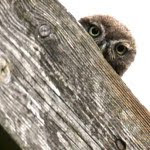 I'm sat here, recovering from last night, enjoying your cracking Little Owls Paul! Have you ever done a day count for owls? Be interesting to set a record? They are great pictures Paul. Suddenly realised where I am going wrong, my hang overs are not severe enough! Excellent photos! I especially love the composition of the first one! Christian, a day count for owls??? Just had a quick look back through some of my records and I've had 30+ on a couple of occasions. 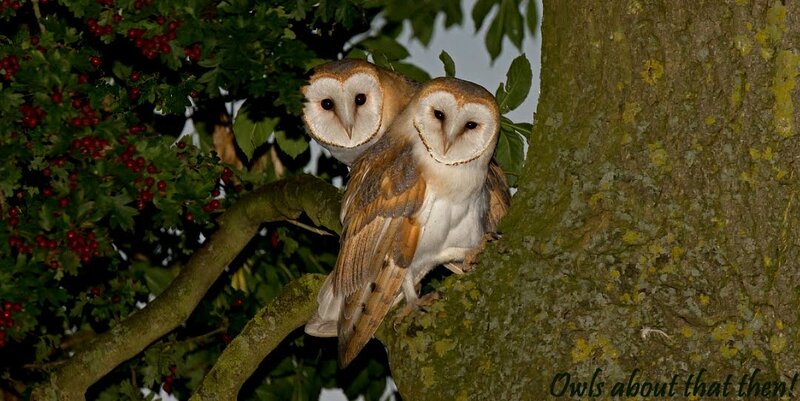 You have now "challenged" me, so later in the year I will see if I can do 40+ different owls in a day, possible I suppose as long as I'm not hung over! Mike, I don't recommended owling with a hangover, but if you are going to do it......do it properly! Yes Col I know it was your idea to keep changing my header. Please keep your great ideas to yourself in future, remember I have some video footage of you singing!!!!! Thanks to you all for your kind comments.......Paul. Nice to see you back with the little-uns again Paul - and with such excellent results too! !